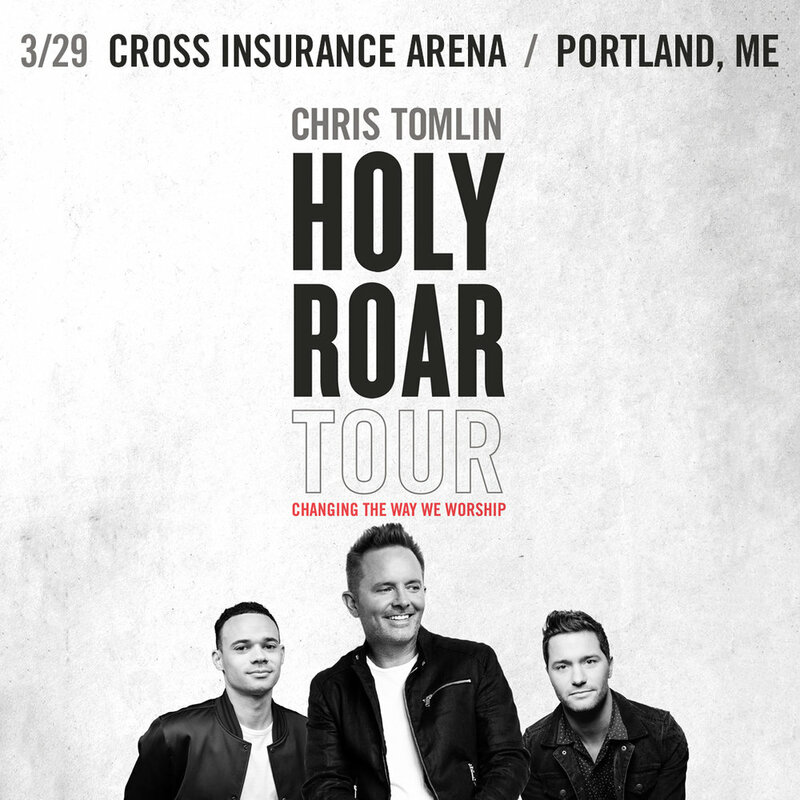 Join us for an amazing night of worship with Grammy-Award winning Christian artist Chris Tomlin on the HOLY ROAR Tour with Special Guests Tauren Wells, Pat Barrett, Nicole Serrano, & Darren Whitehead at the Cross Insurance Arena on Friday, March 29th, 2019! NEW LOW TICKET PRICES JUST ADDED! Chris Tomlin is one of the most heralded singer-songwriters in the world who has amassed an impressive body of work. He has sold more than 8 million albums, 11.3 million digital tracks with 16 #1 singles. Chris is one of only four artists ever to receivethe Sound Exchange Digital Radio Award for over 1 Billiondigital radio streams, others include Justin Timberlake, Pitbull and Garth Brooks. The Grammy® winner’s list of music awards include an American Music Award, 3 Billboard Music Awards, 21 Dove Awards, a BMI Songwriter of the Year Award and more. Chris’ concert tours have sold-out venues in major cities including New York City’s Madison Square Garden, The Forum in Los Angeles, Nashville’s Bridgestone Arena and Red Rocks in Denver, among others. This spring, Chris launched his own imprint record label, Bowyer & Bow, in partnership with Capitol Christian Music Group.